Some athletes say that eleuthero helps reduce fatigue. Eleuthero (sometimes known as Siberian ginseng) is more adaptogenic than its distant relatives American and Asian ginseng. 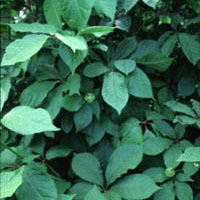 Eleuthero is often used as a digestive stimulant among underweight people. Individuals who are depleted and fatigued who use eleuthero have reported increased alertness.